Organic farmers go to some lengths to avoid using synthetic pesticides on their products, and are required (at least in the United States, Canada and parts of Europe) to avoid a large number of these chemicals. Organic marketers and anti-GMO activists exaggerate these efforts, making claims that organics are “pesticide-free” and don’t use “harmful” chemicals that they claim are the mainstay of conventional agriculture, and often linked in their campaigns to genetically modified crops. Such claims are built into the DNA of organic producers and the network of websites linked to the industry. A blog by Stonyfield organic claims that “not all food is grown with the use of toxic, persistent pesticides. 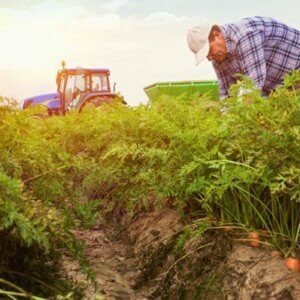 Organic farming is free of these chemicals by definition.” And last March, EcoWatch published a blog touting an alternate method to the USDA Organic program as an “equally pesticide-free method of farming.”A survey by the United Kingdom based pro-organic Soil Association, found that 95 percent of consumers said their top reason for buying organic was to avoid pesticides. 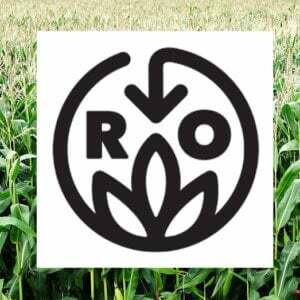 [I]t turns out that there are over 20 chemicals commonly used in the growing and processing of organic crops that are approved by the U.S. Organic Standards. And, shockingly, the actual volume usage of pesticides on organic farms is not recorded by the government. Why the government isn’t keeping watch on organic pesticide and fungicide use is a damn good question, especially considering that many organic pesticides that are also used by conventional farmers are used more intensively than synthetic ones due to their lower levels of effectiveness. A lot of food labeled as “organic” does have some pesticide residues, including pesticides that aren’t supposed to be on organic food. A 2012 USDA study pointed to possible pesticide drift from conventional farms as a contributing factor. But another problem, perhaps even bigger than this, involves the importation of organic food. These foods have pesticide residues. Three years ago a Canadian study sent shockwaves through the agricultural community, when the government discovered that more than half of all labeled as “organic” instead had pesticide residues. 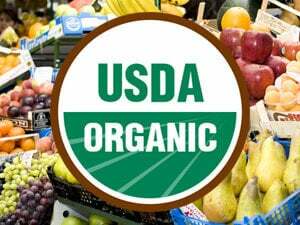 The government insisted that the amounts were not life-threatening, but organic foods aren’t supposed to have any pesticide residues (outside of those allowed on organic crops). None. Instead, the study found that 77 percent of organic grapes, 67 percent of organic strawberries and 59 percent of organic tomatoes contained pesticides. This wasn’t a domestic production problem, but an import issue; four-fifths of Canada’s produce is imported. Issues with imported food—organic or otherwise—aren’t limited to Canadians. The United States, also is experiencing unprecedented imports of organic food—and evidence pesticide residues. The USDA reported that in 2013, the U.S. imported $1.3 billion worth of organic food, led by organic coffee. The top five imports (in terms of monetary value) were bananas, coffee, olive oil, and mangos. The top five countries exporting to us were (again, in dollar terms) were Mexico, Italy, Peru, Columbia, and France. But the fastest growing organic importer was China, where much of the organic pesticide problems appear to originate. Sixty percent of apple juice and about half of all garlic consumed in the U.S. is from China, and that’s just a fraction of the $5 billion in food imports from the country (they’re our third-largest source of imported food). Soybeans are the second-biggest U.S. organic import, with $184 million shipped last year. India is the No. 1 source, followed by China. For corn, with overall sales of $35.7 million in 2014, Romania is the biggest seller to the U.S., followed by Turkey, the Netherlands and Canada. The number of FDA refusals of imports from China have been rising, due to “’filth’, unsafe additives, inadequate labeling, and lack of proper manufacturer registrations,” according to the FDA. And lately, more of this imported food is labeled “organic.” Chinese growers, enthusiastic about organic food prices, have helped the country boost its organic food exports dramatically. Meanwhile China’s food export history is scarred by repeated scandals. In 2008, infant formula sickened thousands of babies and killed at least six. Since, then, food fiascos included watermelons exploding from too much growth chemical, borax in beef, bleach in mushrooms, soy sauce made with arsenic and from human hair, and “eggs” created using chemicals, gelatin and paraffin. A lot of soy, grains and other organics are in processed foods, which arrive here under an organic label. And that’s getting the organic groups and federal officials concerned. “China is a major producer of organic products, and there are continual questions about the integrity of products coming from China,” said Miles McEvoy, who heads the organic program for the USDA. While the U.S. FDA has an office in China, most inspections and verifications of organic processes lie with third-party vendors, which may not be able to look at every product leaving China, and may also receive incentives to look the other way. The USDA lists 80 “certification organizations” which can, in theory, inspect a farm and determine its organic status. 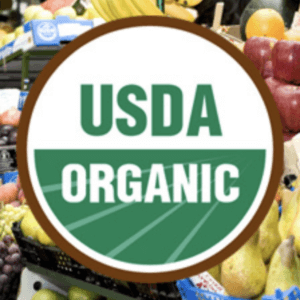 A USDA organic food program inspection discovered 10 companies that were using fraudulent certificates behind an “Organic” label; four of the companies were Chinese. The grocery chain Whole Foods Market eventually changed its sources of organic ginger after a sample of Chinese ginger sold under its “365” label was found to contain residues of aldicarb (which isn’t allowed on organic food). Sometimes, it’s hard enough to find out the source of imported organics. When Peter Laufer, a journalism professor of author of Organic: A Journalist’s Quest to Discover the Truth Behind Food Labeling, tried to find the source of rancid organic walnuts he’d purchased, he found that the nuts were not from Kazakhstan, as labeled. In fact, a USDA investigation could not determine any domestic walnut operations in the former Soviet republic. 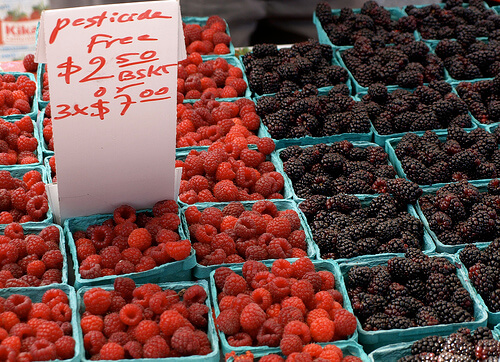 Thanks to the import boom, it’s getting far more difficult to point to organics as a “pesticide-free” alternative to conventional or genetically modified food.